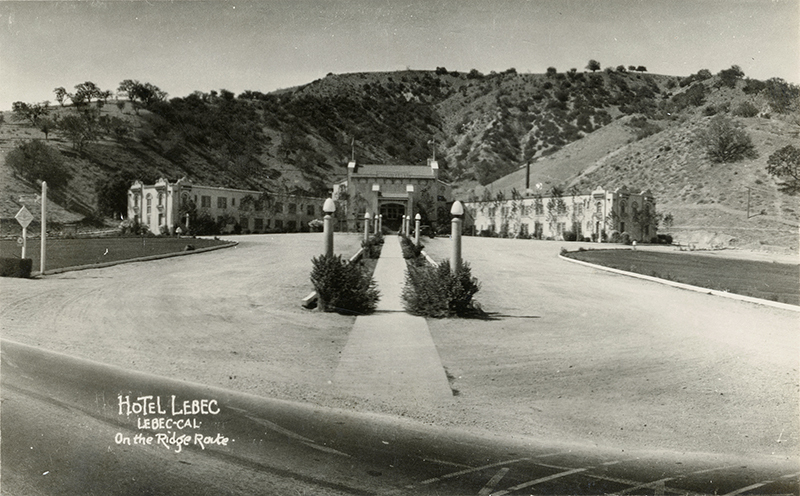 SCVHistory.com LW2029 | Lebec | Hotel Lebec on the Ridge Route, ~1920s-1930s. Hotel Lebec on the Ridge Route, unused real photo postcard, probably 1920s or 1930s. Back is divided but otherwise blank. Printed upside-down. 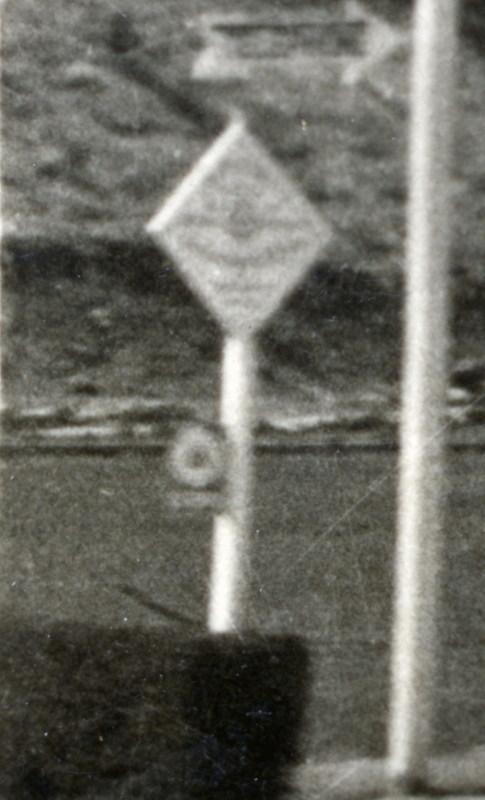 The Auto Club sign at left (enlarged at right) isn't quite readable. LW2029: 9600 dpi jpeg from original RPPC purchased 2018 by Leon Worden.